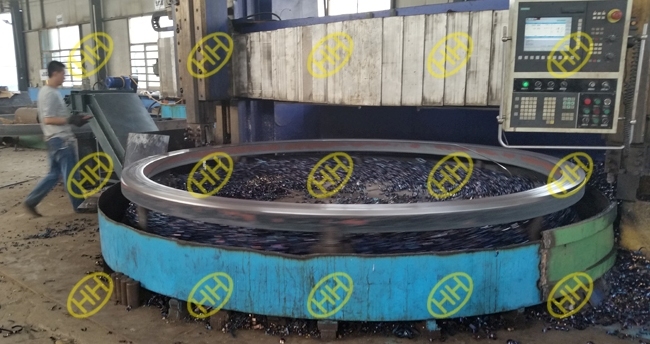 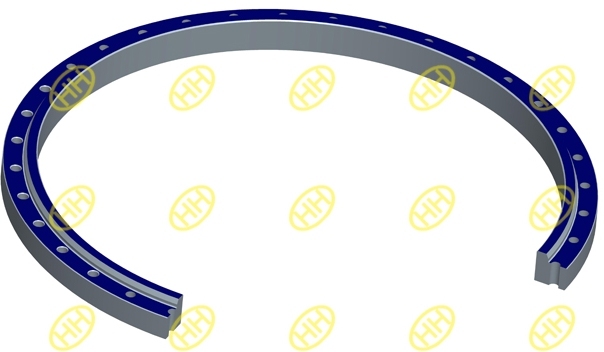 The rolled-forging ring produced by Hebei Haihao Group means the large size ring flanges produced by rolled forging,not the open die forging process.From the shape,it is a customized flange of plain type,weld neck shop or other types,and always have a large diameters. 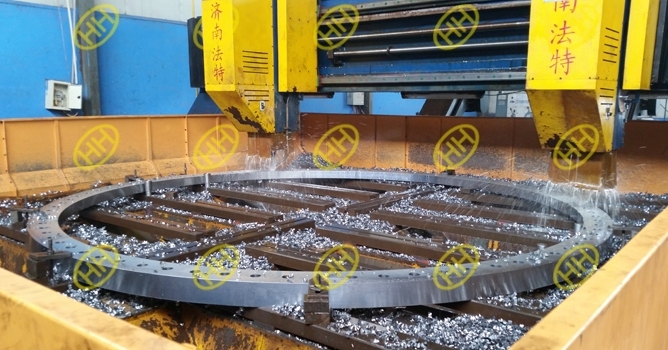 The rolled forged ring flanges are often produced by a process called ring rolling,the production begins with a circular metal that has been pierced by our pressing machine,then this pressed metal should be heated and bring to the rolling mills,there is a mandrel bar on the rolling mill,the mandrel bar will drive the metal roll under pressure to make the height and thickness smaller,and the diameters of ring larger.After finish the rolled forging,our CNC vertical lathe and drilling equipment will finish the machining work for the ring flanges. 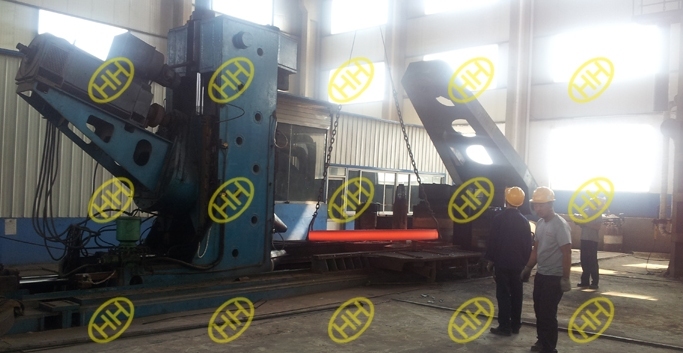 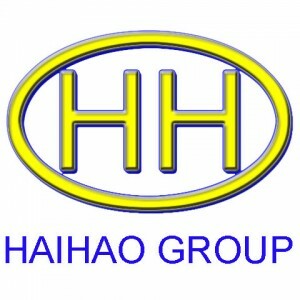 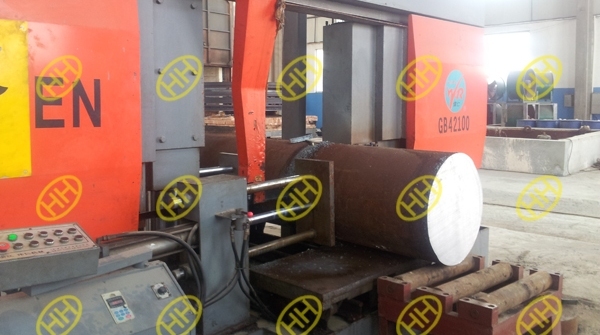 Hebei Haihao Group have equipments for the rolled forged ring manufacturing.6000Tons pressing machine (punching machine),2000Tons pressing machine for open die forging,2 sets rolling forged mills,3 sets CNC programmed 5 meters diameter vertical lathe,3 sets CNC programmed 4 meters diameter vertical lathe,2 sets CNC programmed drilling machines,9 sets heating treatment furnaces etc. 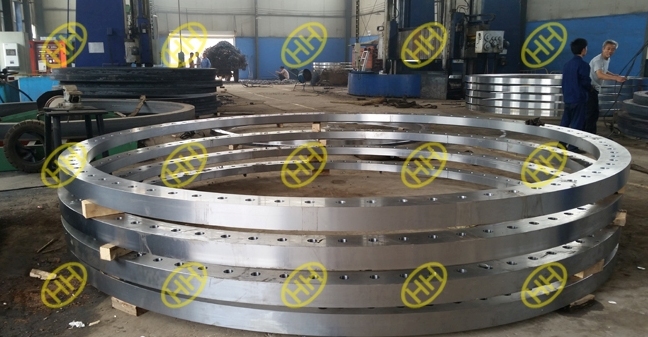 The rolled forging rings are large sizes flanges,they could be used in piping system for fluids,also be used for construction and frame etc.The rolled forging rings of Hebei Haihao Group are widely used in the basement of the wind power tower equipment in China.Haihao Flange Factory can design and produce the rolled forging rings as per request.